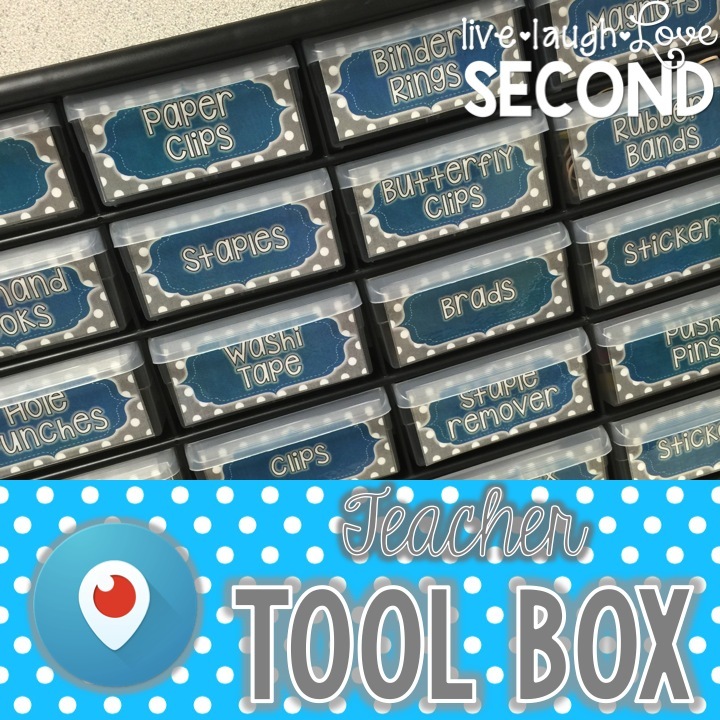 Live, Laugh, Love Second: Teacher Tool Box: Monday Made It! 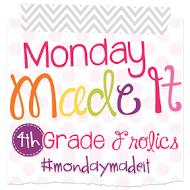 Teacher Tool Box: Monday Made It! My Monday Made It has definitely kicked into overdrive as I prepare for this coming year. I go back on Friday! Agh! Where did my summer go??? So, let's not waste anymore of it, shall we? Last Monday, I periscoped how to make seat crates. 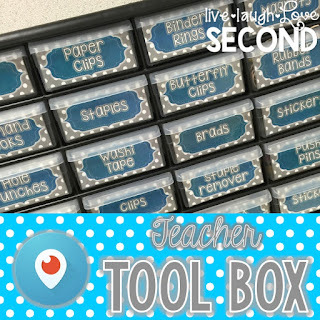 I had posted a picture of my teacher tool box prior to that and had been asked how I made it. Well, like the seat crates, it was really a lot easier than I thought it would be, and I could customize it exactly how I wanted. So, I thought I would do the same thing with my tool box. If you missed the periscope, you can still catch it until tomorrow morning. 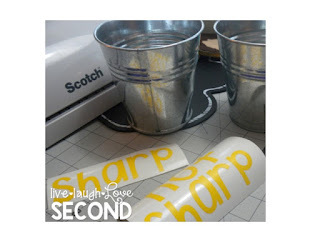 I couldn't seem to get the video to transfer, so I made a screen shot video that explains how to make your own labels. You can check it out below. 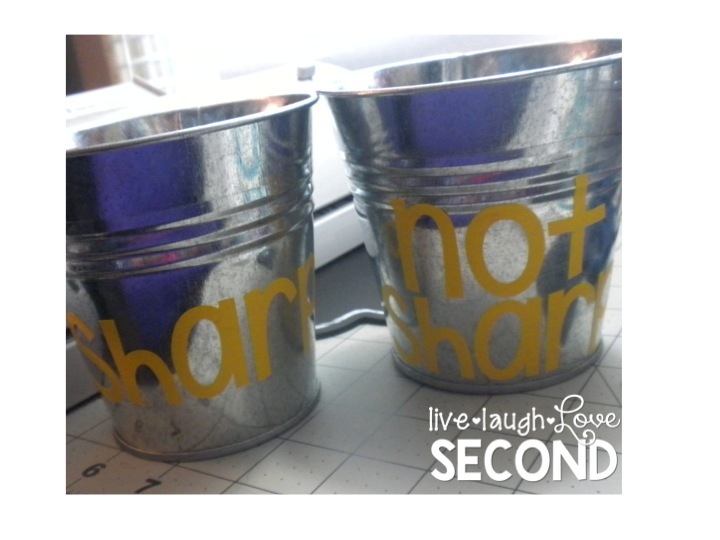 I also made some label for my supply buckets. 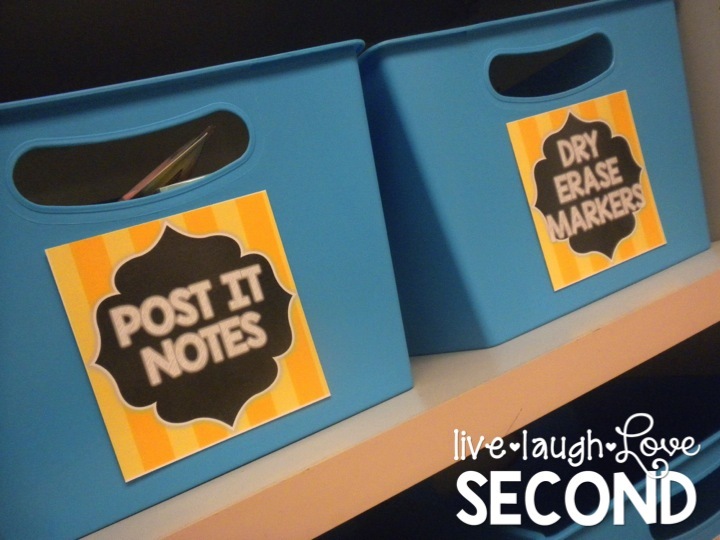 I made them the exact way I would make them for my teacher toolbox, only with different dimensions. My classroom is really starting to come together, and I can't wait to see the finished product! Stay tuned! 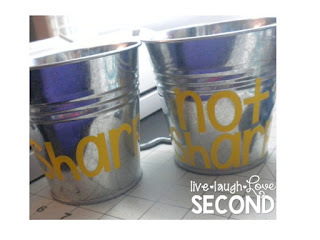 All your projects are so cute!! I love those little buckets. I seriously need to invest in a cameo this year! Thank you! I use my Silhouette ALL THE TIME. I love it! Too cute! I love your labels. Found you on the Second Grade TpT Tribe! I was just looking for a Teacher Toolbox tutorial. Love it!! :) Thanks so much. I'm a new follower.